Mallard Lake on the Bluebell complex has produced another cracker in the shape of this 41lb 2oz common. Joe Stokes was the triumphant angler, hopping on to the day-ticket water just a week after returning from a trip to Thailand. 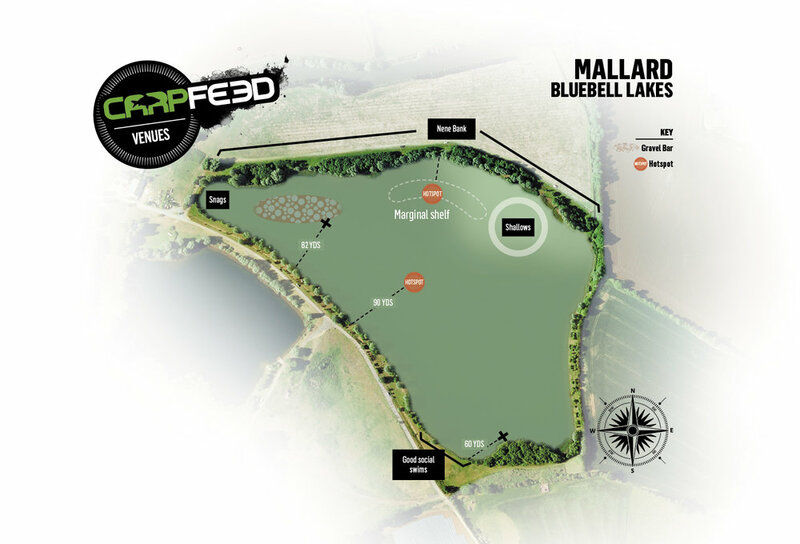 The 21-year-old told Carpfeed: “I arrived at about 1pm on Sunday [April 7] with plans to fish Mallard for 48 hours. Stopping in a swim with a good view of the lake, Joe was speaking to another angler when he spotted a fish show in open water. He headed round to a swim on the Road Bank and saw another fish show in the same area. Having found a spot at 24 wraps, the Ibstock Gun & Tackle worker positioned all three rods in the zone, with his right-hand rod on a slightly softer spot off to the side. At 7.30am the next morning it was that rod which produced the bite. “It was two single bleeps to start,” said the Leicestershire angler, “and then seconds after, a screaming take with the line melting off the reel. “When I hit into it I didn’t realise it was a big fish as the fight was slow and it didn’t really take much line. “I thought it could have been a big 20 or possibly a 30 but it did take a very long time to bring the fish closer and closer towards me. The big common, thought to be the lake’s seventh 40lb-plus capture, was backed up by a mid-double mirror two hours later. Joe used a Korda COG lead system and Ronnie rigs made with size 6 Korda Kamakura hooks and baited with Mainline Salty Squid pop-ups. He fed hemp, maize and mixed sizes of Mainline Link and Cell boilies.